The GMC Yukon debuted in 1992 as the replacement for the outgoing full-size GMC Jimmy. 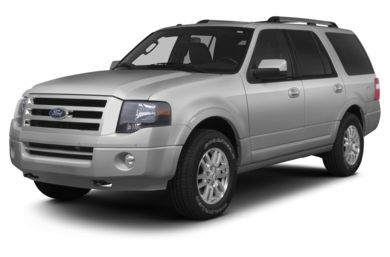 The Yukon eventually morphed into a premium luxury SUV, as it and its sibling, the Chevrolet Tahoe, headed in separate directions. Coming into the 2013 model year, the GMC Yukon is essentially a carryover, as only minor changes were made following its 2012 campaign. There were only two additions made to the 2013 GMC Yukon and those were the addition of a new exterior color, Champagne Silver Metallic, and the addition of powertrain grade braking. Short of those two additions, the 2013 Yukon is identical to its 2012 counterpart. Being a full-size SUV, the Yukon is expected to do two things very well: tow and haul people. The Yukon delivers on both expectations with a maximum tow rating of 8,500 pounds and a maximum person-hauling capacity of nine. The 2013 Yukon comes in three main trim levels: SLE, SLT and Denali. The SLE trim level acts as the base level, but actually comes rather well equipped, which shows its status as a premium SUV. The SLT adds in a few extra convenience features to the package. The Denali package adds in all of the high-end luxury features that discerning SUV owners expect from a luxury vehicle. See our picks for best SUVs in the CarsDirect SUV Buying Guide. Competition is plentiful for the 2013 Yukon. It begins with its cousin, the 2013 Cadillac Escalade, which comes in at a base MSRP of $64,170 and features a seven-person seating capacity, leather interior, a 403-horsepower, 6.2-liter V-8 engine and an 8,300-pound towing capacity. 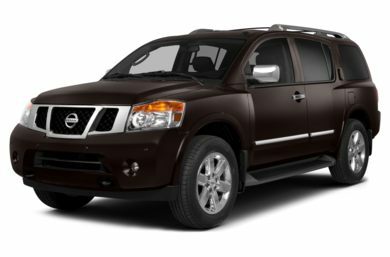 Next up is the 2013 Nissan Armada, which features a 317-horsepower, 5.6-liter V-8, an 8,200-pound towing capacity, eight-person cloth seating and a $40,710 base price. 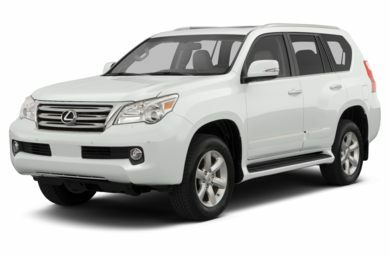 The final competitor is the 2013 Lexus GX 460, which carries a base MSRP of $53,445, hauls seven people on leather seats, a 301-horsepower, 4.6-liter V-8 with four-wheel drive and a 6,500-pound towing capacity. The competition ranges greatly in price and standard features, but the varying trim levels on the GMC Yukon match it up well with all of its competitors, top to bottom. The Denali trimming on the 2013 Yukon is the highest trim level. It replaces the standard 5.3-liter V-8 engine with a 6.2-liter V-8 powerplant that produces 403 horsepower and 417 foot-pounds of torque, and connects to a six-speed transmission that sends power to the rear wheels via a 3.42-to-1-ratio axle. 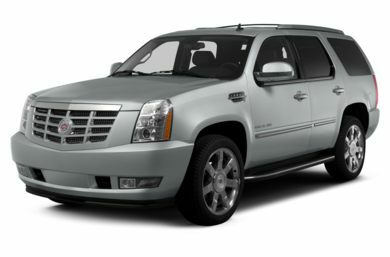 On the outside, the Denali features all of the SLT’s standard features and adds in: AutoRide suspension, auxiliary transmission cooler, front stabilizer bar, chrome assist steps, dual-halogen composite headlights, fog lights, power rear hatch, luggage-rack crossbars and 20-inch chrome wheels. On the inside, the Denali takes the standard features from the SLT and adds in: 10-speaker Bose Centerpoint surround-sound system with 7-inch color touchscreen, 30 GB hard drive, navigation, USB port, speed-controlled volume and CD/MP3/SiriusXM/AM/FM capabilities, programmable door locks, leather seating, heated and cooled front seats, 12-way power front seats, and heated second-row seats. The 2013 GMC Yukon SLE is the base level for the full-size SUV. It comes standard with a 5.3-liter V-8 engine that produces 320 horsepower and 335 foot-pounds of torque, and connects to a six-speed automatic transmission that sends the power through a 3.08-to-1-ratio rear axle. On the outside, the SLE trim level comes with: black side steps, tinted windows, luggage rack, heated power side-view mirrors, 17-inch polished-aluminum rims, intermittent wipers, four-wheel disc brakes with ABS and StabiliTrak. Inside the cabin, the SLE trim level includes: five auxiliary power outlets, nine-speaker Bose sound system with AM/FM/SiriusXM/CD/MP3 capabilities and rear audio controls, auto-dimming rearview mirror, Bluetooth connectivity, three-zone automatic climate control, cruise control, power windows and door locks, leather-wrapped steering wheel, driver information center, and six-way power front seats. The 2013 Yukon SLT take all of the SLE’s trimmings and adds in a few extra comfort features. The drivetrain remains identical between the SLE and SLT models. On the outside, the SLT trim level is literally identical to the SLE trim level in terms of standard features, but it adds in the ability to opt for a power rear hatch and a set of 22-inch, 12-spoke aluminum wheels. Inside the Yukon, the SLT package adds in: rearview camera and ultrasonic rear parking assist, rearview-mirror-mounted rearview camera display, remote vehicle start, power adjustable pedals, and Universal Home Remote. Tons of power, great towing and lots of luxury, but its high base price only matches it to the Denali trim level. Great seating capacity, towing, base price and towing, but gets 3 mpg less on the highway. Very luxurious, but huge base MSRP, relatively low towing capacity and underpowered. Great base price top to bottom, awesome styling and massive towing, but only seats five in its base format.